Thank you! We will review your submission for inclusion on our site. Allura provides printing solutions of the highest quality. We offer conventional offset printing and digital printing using the latest technology and equipment. We take pride in offering accurate, attentive and awesome customer assistance, so you can accomplish the most from your printing jobs. Cardinal Point is a boutique wealth management firm that has offices in the U.S. and Canada. Our cross-border platform provides comprehensive investment management, tax and financial planning. We are held to the fiduciary standard, which is the highest standard of care. Put simply, we act as client advocates and must do what is in their best interest. Our platform offers the unique and value-added benefit of an integrated cross-border approach. Our advisors have the experience, knowledge and service standards that clients require. Chapman Auto Repair of Orange is a family-owned and operated auto repair and auto maintenance shop located in the great city of Orange, CA. Established in 2005, they have been faithfully serving Garden Grove, Santa Ana, Tustin, Westminster and Anaheim by providing automotive services unmatched in quality by any other shop in the area. A boutique law firm specializing in the areas of immigration (US, Canadian and Australian), entertainment and corporate law. Hank is the consummate networker and has been instrumental in our growth as an organization. Beth is compassionate, conscientious and detail-oriented - three characteristics that have come to define the work she does in her career today as a real estate agent. A Canadian native who now resides in Huntington Beach with her husband, Beth is well known for her unmatched ability to help clients achieve their real estate goals. Dawn White, a native of Calgary, Canada has over 25 years of real estate experience. Her love for real estate started early by working in her family’s real estate development business. In 1994, Dawn and her husband Scott launched their own real estate and property management firm. They successfully navigated the Calgary commercial and residential real estate market until 2008, when they decided to move their family from the cold and snow of Calgary to the sun and sand of Orange County. When you choose Dawn as your real estate agent, you are choosing a REALTOR® who focuses on service and performance for each of her clients. Dawn’s top priority is looking out for what’s in the best interest of her clients and ensuring their needs are met. 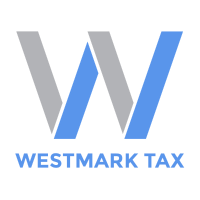 Westmark Tax provides cross-border tax services that simplify how you plan and maintain compliance with complicated tax rules, especially for Canadians living in California with interests on both sides of the border. Whistler Water is a leading manufacturer and supplier of bottled water. Their water originates from glacier-capped mountaintops just north of Whistler in British Columbia, Canada and is bottled a short distance away in Burnaby, British Columbia.